OK 33 Washita River, Roger Mills Co. Built in 1932, this venerable 100-foot Parker pony with approaches stands in essentially unaltered condition just west of Strong City. 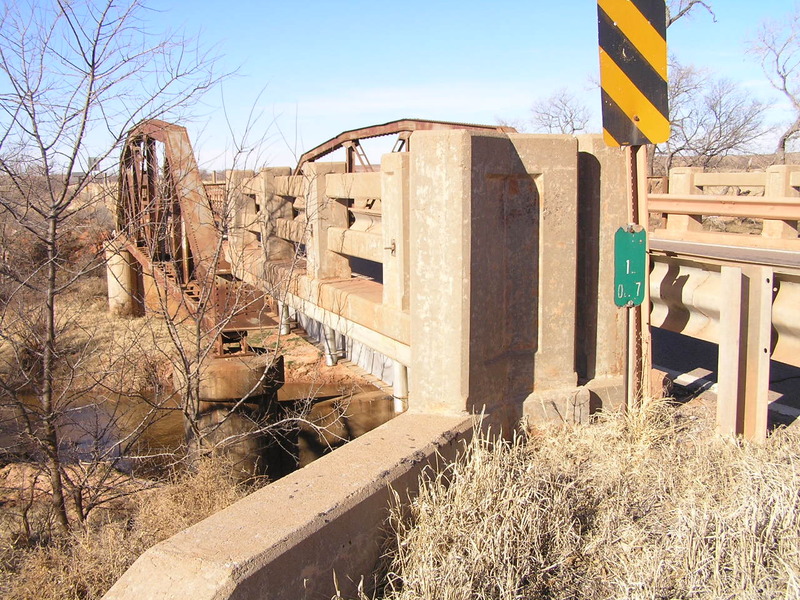 OK 33 crosses the Washita River in Roger Mills County several times. 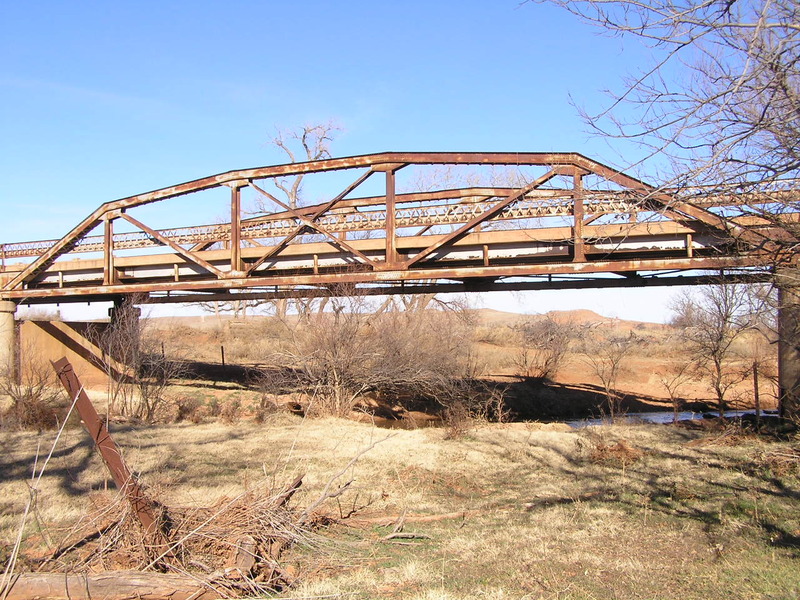 Three of these structures were pony truss bridges, however, when this bridge was photographed, it was the only one standing. 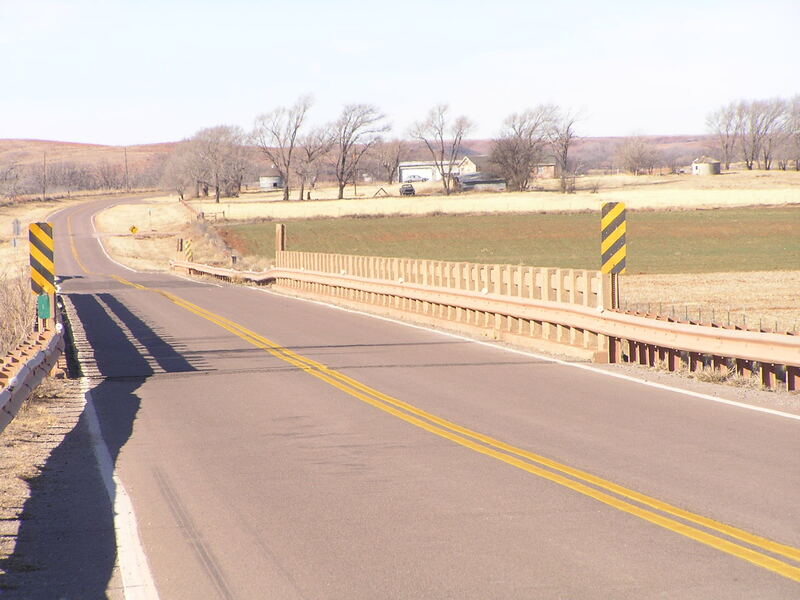 One, just east of String City, had been demolished just weeks or days before, and the other, just west of Hammon, was gone long enough that the replacement was in service. Above, looking west through the bridge. Everything is intact and essentially as it was in 1932. 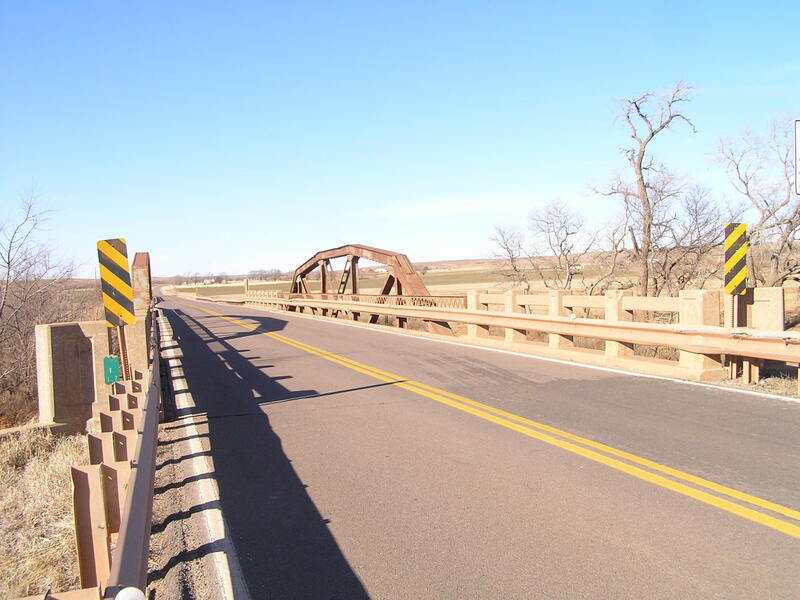 The bridge consists of two approach spans, in addition to the truss. The bridge's total length is 193 feet. Below, a side view. 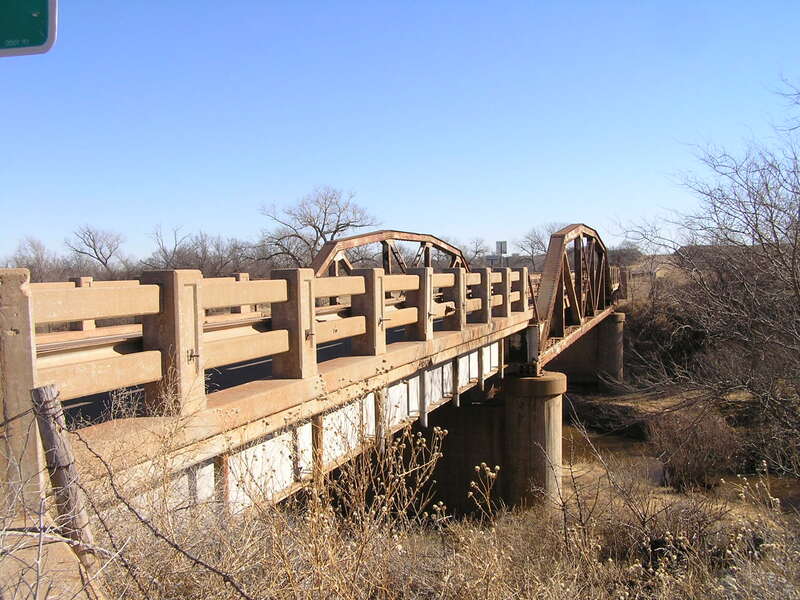 The 100-foot Parker pony was one of the best bridge types ever to be built in Oklahoma. Above, these two bridge structures are just west of the bridge and are flood relief bridges. They were also built in 1932, and like the river crossing, feature original concrete work, complete with the concrete "fence" style railings. Below, a view of the end of the bridge with the nice original concrete work intact. 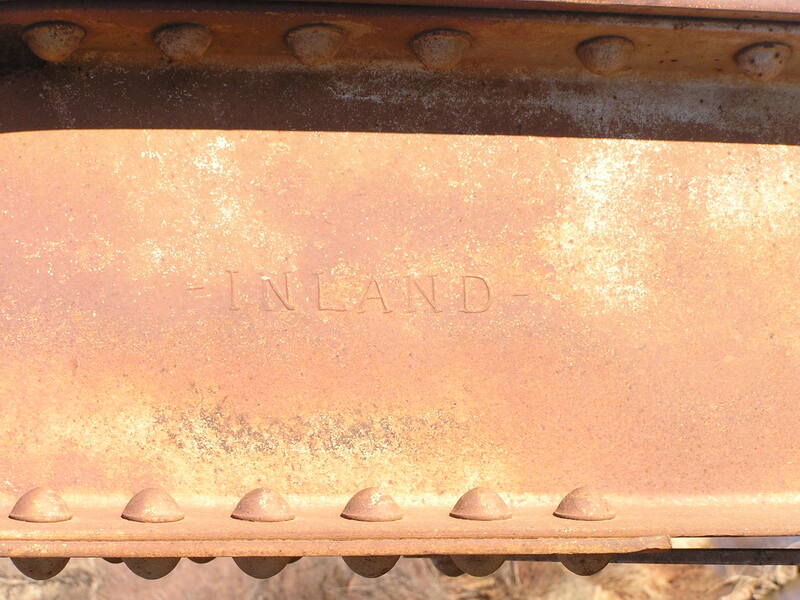 Above, Inland Steel mark on an upper cord channel. Below, looking west with the longer approach in the foreground.